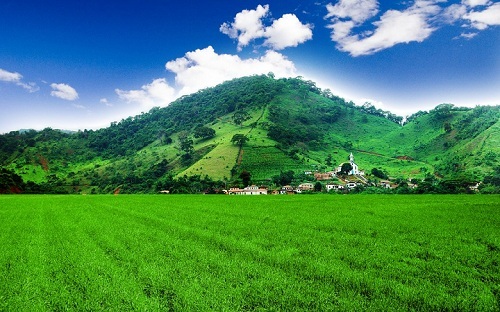 Mountain Villa Bliss Wallpaper is an excellent quality digitally Photo wallpaper of green field, mountain and sky with cloud. Mountain Villa Bliss is taken by rthaut. It is a PNG download, the file is 3.2 MB in size. This Article Has Been Shared 5680 Times! I love mountains.It is so simple and minimalistic wallpaper.They were some wallpapers that gives me eyesore,but this one,gives me a cool and refreshing feeling. Cite this article as: Abhishek Ghosh, "Mountain Villa Bliss : Excellent Nature Wallpaper," in The Customize Windows, September 5, 2011, April 24, 2019, https://thecustomizewindows.com/2011/09/mountain-villa-bliss-excellent-nature-wallpaper/.